The purpose of this qualification is to provide the wider construction trades sector with work-ready people able to enter the construction trades as a labourer or an apprentice who have developed essential transferable skills and underpinning knowledge applicable to a wide range of construction-related trades. Perform simple calculations to complete a range of familiar tasks in the construction sector. Carry out assigned carpentry work in a project environment. Aim: To introduce students to the legislative frameworks and requirements for workplace safety in the construction industry and requires students to select and consistently apply safe working practices and effective communication skills as they undertake project based work. Identify the legislative frameworks that create the framework for workplace safety requirements in the construction industry. Identify and apply effective communication skills when working with colleagues and customers within the construction industry. Select and consistently apply safe working practices when undertaking work in the construction industry. Aim: In this course students will identify, read, and use specifications and drawings and calculation skills that underpin effective practice in the construction industry. Read and use specifications and drawings to complete simple construction projects. Aim: This course aims to introduce students to fundamental carpentry concepts and carpentry terminology when carrying out carpentry tasks. Recognise and apply fundamental carpentry concepts when carrying out carpentry work. Use correct carpentry terminology when undertaking carpentry calculations. Aim: In this course students will explain a range of basic building technologies and outline the properties of building materials/products and linings that are used in a variety of carpentry projects. Explain a range of basic building technologies used in carpentry projects. Outline the properties of building materials/products and linings and fixings used in a variety of carpentry projects. Aim: In this course students will identify and apply a range of construction processes and installation processes and techniques when carrying out carpentry tasks. 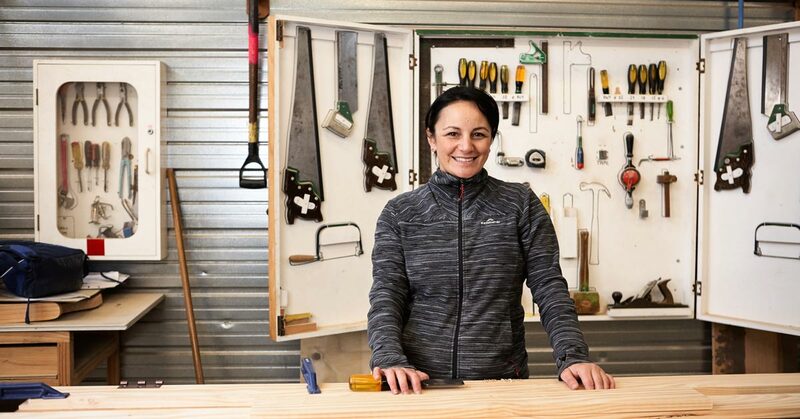 Use a range of construction processes and techniques when carrying out carpentry tasks. Describe and employ correct installation processes and techniques when carrying out carpentry tasks. Aim: In this course students will complete a carpentry project that focuses on preliminary work and consent and compliance requirements. Carry out appropriate preliminary work for a defined carpentry project. Meet consenting, quality and other compliance requirements. Aim: In this course students will carry out foundation and support structure work and meet compliance requirements for a defined carpentry project. Complete foundations work for a defined carpentry project. Complete support structure work for a defined carpentry project. Aim: In this course students will complete frame and related structures and exterior envelope work and meet compliance requirements for a defined carpentry project. Carry out appropriate frame and related structures work for a defined carpentry project. Complete exterior envelope work structures for a defined carpentry project. Aim: In this course students will complete interior lining and finishing work and meet compliance requirements for a defined carpentry project. Complete interior lining work for a defined carpentry project. Complete interior finishing work for a defined carpentry project. be physically able to complete the programme specific-outcomes. Mark teaches carpentry and is Northland coordinator for the New Zealand Carpentry Apprentice Challenge. Hapū - Ngatikaharau and Ngatihau. “Moving from Auckland to an old villa between Whangarei and Dargaville, I wanted the skills to be able to renovate it. The rest of my classmates were young guys aged 17 to 25 and I thought they’d be way better than me, but I was motivated and interested in ways that they weren’t. The course also gave Louise an entrée into architectural design. And for her practicum she worked two days a week for an eco-builder. Louise is now well on the way to realising her business goals around sustainable building utilising mud-brick. Five top NorthTec students were acknowledged with awards at the Northland branch of New Zealand Institute of Building Excellence Awards evening. NorthTec’s top “built environment” and engineering students were celebrated at an annual industry awards ceremony held in Whangarei.